Many people don’t realize that SXSW started in 1987 as an indie music festival. In 2019, music is still a major component, but in terms of money, the funding is almost entirely coming from tech companies. I can only imagine what the original 1987 attendees would think if they were magically transported to SXSW 2019. They’d see silent and powerful mechanized scooters being rammed into one another, floating in the river or lying broken on their sides; be taken aback by everyone flapping their thumbs on thin, black, shiny, rectangular boxes while wearing wireless earbuds; and be concerned by people talking madly to themselves not knowing they’re really talking to their own personal AI assistants. Maybe the time travelers would even wander into the VR Cinema at the JW Marriott and be bewildered by bizarre scenes of people dancing with giant, opaque masks on their heads and remote controls in their hands. A few might look around for the jetpacks they were promised back in the ‘80s, and come away disappointed by the one they saw on the floor, a hover backpack that allows users to jump higher, but not soar. 2019 is not exactly the future they envisioned back in their past. 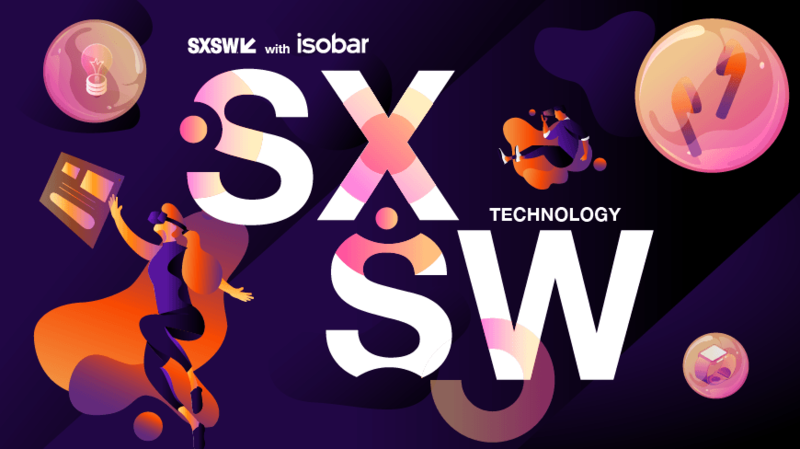 Download our report for all things tech & innovation at SXSW.